SRINAGAR: Hours before, security forces had called off a massive day-long cordon and search operation in twenty villages of Shopian district in Kashmir. 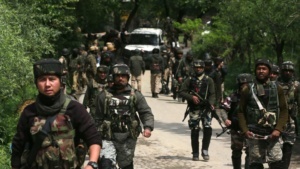 Suspected militants attacked an army convoy that was returning after conducting a massive search operation that involved 4,000 troopers in south Kashmir’s Shopian district on Thursday. A civilian was killed and three security personnel were injured in the encounter. 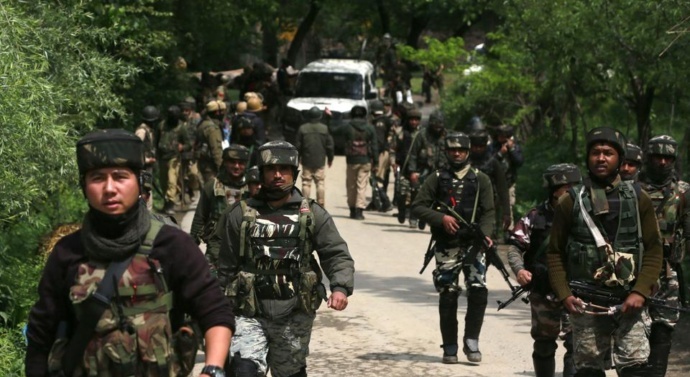 A Srinagar-based army spokesperson said that an exchange of fire has started between returning the column in Imamsahib area of Shopian district and an encounter is on. The civilian was injured in the gunfire and succumbed to his injuries, agencies reported. After a 12-hour dawn to dusk operation, the militants struck when army troops were carrying out a “reverse sweep” of Chowdari Gund and Kellar area of Shopian this evening, official sources said. Reverse sweep is a term used by army in which they carry out a surprise check of a location after having combed it earlier in the day. The militants had laid an ambush and fired indiscriminately when the troops approached the village looking for militants, sources said. The troops returned the fire besides alerting other teams who laid a cordon around the spot. The cordon and search operation (CASO) followed intelligence inputs about the presence of militants, including foreign terrorists, in the area, an official said. However, no arrests were made during the search operation. The troops asked all villagers to assemble in a common area so a proper search of their homes could be carried out. “We do not wish to have any civilian casualty and the measure was therefore required,” said a senior army official engaged in the operation. Aiding the security forces, which included a team of concealed anti terrorists (CAT), were drones providing real- time intelligence to the troops. Door-to-door search of houses — a practice stopped in the late 1990s — was reintroduced on Thursday, with the army, police and CRPF personnel marching into villages in Shopian district, about 55km from Srinagar, for ‘Operation Clean Up’. Helicopters and drones too hovered over the area. The operation, launched after a spate of militant attacks in the region, was perhaps the biggest in more than a decade in the troubled Kashmir valley, an army official said on the condition of anonymity. In Delhi, army chief General Bipin Rawat indicated to reporters that security forces had beefed up counter- infiltration postures in Jammu and Kashmir. Rawat was in Kashmir on a two-day visit earlier this week.